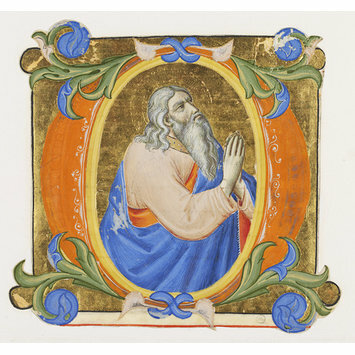 Cut-out historiated initial O in orange and yellow, set against a background of burnished gold, and depicting a bearded prophet wearing a blue and orange robe and a pink tunic. The initial has foliage ornamentation in blue, green and pink and the prophet has a halo made up of a pattern of lines and circles tooled into the gold. 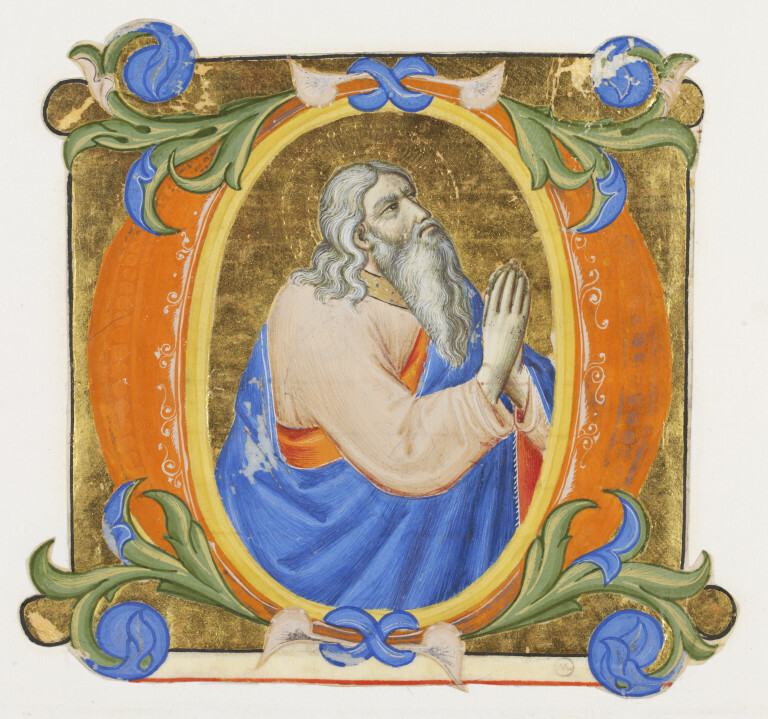 Historiated initial O from a Gradual, prophet, attributed to Don Silvestro dei Gherarducci, Florence, 1382-1399.